During the meeting, both ministers discussed various issues of importance to the two countries including the threat of ISIS and radicalisation and steps being taken for counter-terrorism. 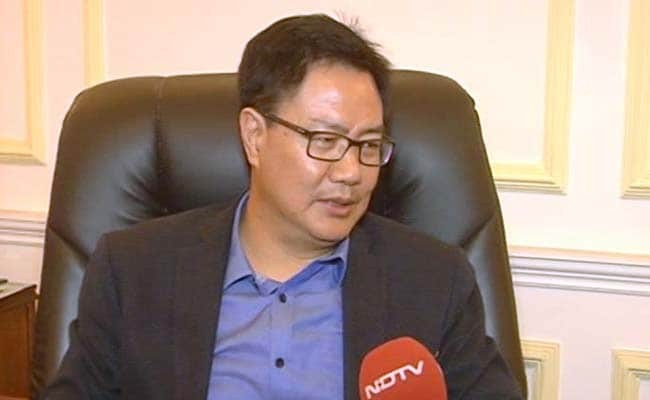 Kiren Rijiju and Ann Linde discussed various issues of importance to the two countries. New Delhi: India and Sweden today stressed on strengthening cooperation in counter-terrorism and anti- radicalisation actions besides a host of other issues. These issues were discussed when Sweden's Minister for EU Affairs and Trade Ann Linde held delegation-level talks with Union Minister of State for Home Kiren Rijiju here. Both sides appreciated the ongoing cooperation in counter-terrorism, cyber security and anti-radicalism being pursued by the two countries and emphasised the need for close collaboration both at bilateral and multilateral levels to counter this very serious threat especially against pluralist democracies like India and Sweden. Ms Linde observed that terrorism and threat of ISIS is a big issue for Europe and urgent steps are being taken to check the same, an official statement said. Mr Rijiju apprised the Swedish minister that even though threat of ISIS is there in India but various steps have been taken to keep the same under constant check and most importantly steps have been taken for de-radicalisation and counter-radicalisation. Ms Linde shared Swedish perceptions about Brexit and challenges of influx of refugees faced by her country. While she reiterated the commitment on economic cooperation, the Swedish side offered transfer of technology and capacity building so as to make India a hub for global supply chain. Sweden also showed interest for supply of equipment and items for modernisation of the central armed police forces. Ambassador of Sweden to India Harald Sandberg and senior officers of the ministry of home affairs were also present during the meeting.